Whitehaven Undermount Cast Iron 32.6875 inch 0-Hole Single Bowl Kitchen Sink In Suede The Whitehaven apron-front kitchen sink features a streamlined and versatile farmhouse style to complement any decor. A large single basin accommodates large pots and pans, while the sloped bottom helps with draining and cleanup. Crafted from enameled cast iron, this sink resists chipping, cracking, or burning for years of beauty and reliable performance. A standard apron front makes it easy to install on 33-inch apron-front cabinetry. The Self-Trimming(R) design requires only a simple rough cut, overlapping the cabinet face for beautiful results. Whitehaven Undermount Cast Iron 32.6875 inch 0-Hole Single Bowl Kitchen Sink In Suede is rated 4.4 out of 5 by 71. Rated 5 out of 5 by Angela from Awesome sink and very spacious especially when trying to wash... Awesome sink and very spacious especially when trying to wash bigger pots and pans. Rated 5 out of 5 by Lori from Love it!... Love it! Rated 5 out of 5 by Tina from Excellent Sink! ... Excellent Sink! 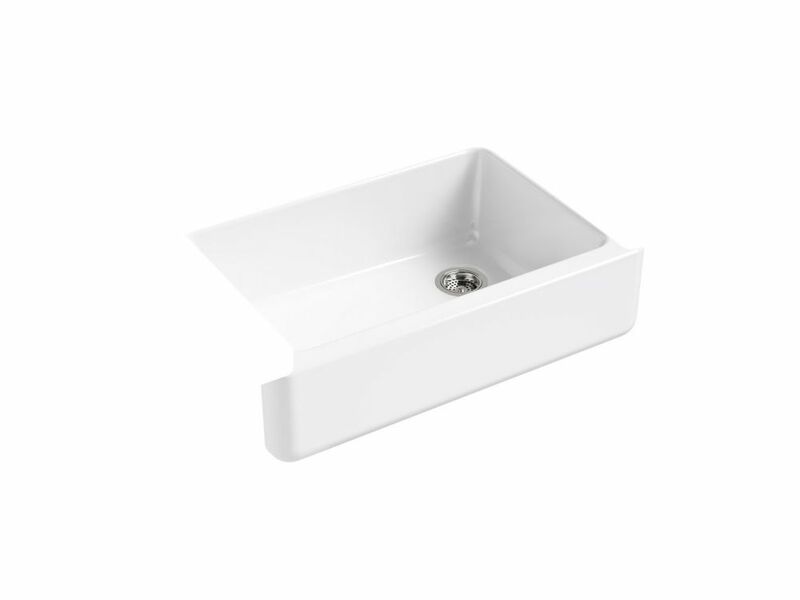 Rated 5 out of 5 by DIYer from I wasn't absolutely sure about only one large sink, but... I wasn't absolutely sure about only one large sink, but I love this thing! We put the ss racks in to keep it nice, and it is lovely! Very happy! Rated 5 out of 5 by Elaine from Beautiful sink.... Beautiful sink.